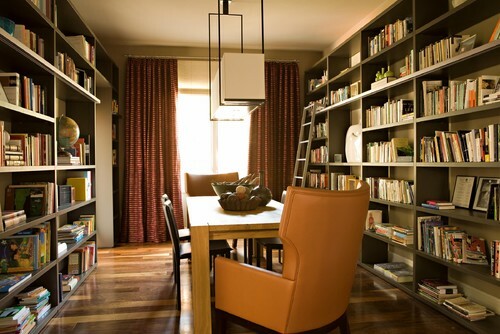 I’m working on a Home Library design in a beautiful, traditional home in Denver. Few homes have these beautiful, inviting, bonus rooms, and I fear that even fewer will in the future. Libraries, public and private, really are a treasure. I was recently in New York and had a chance to admire the public library building. How could I be anything but inspired by this beautiful architecture and detail? The woodwork, the windows, the chandeliers… all adding elegance to a highly functional space. What is the future of our printed word? E-books have outsold printed books since 2010 and the margin grows each year. Will our printed books really go away? I think not. Most people still prefer the touch and experience of reading a real book. What is the future of our libraries, public and private? Whether your library is a proper separate room, or a bookshelf in your office, bedroom, or living room, most homes do have a library. Those shelves tell a brief story of who we are, our hobbies or interests. In some cases our books are artwork, or nostalgia. What is the future of these cozy spaces once designed to house our reading treasures? What do you envision when you hear the term “library”? I envision warm enveloping chairs and a cozy environment. The kind of place you really want to curl up and read. Good lighting is essential. Some might prefer a table or work area. And some may require a place to put your feet up. Following are beautiful Library Spaces that are inspiring me today. Libraries are so often traditional in design, decor and feel. The space below is a fabulous library of bold and modern design. 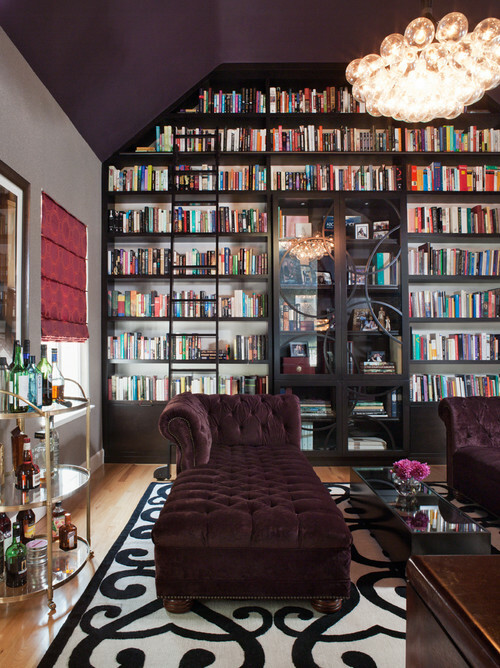 Do you have a library or reading nook in your home? What are the essential elements to you? Share with us here, or on Facebook. For even more library inspiration, check out my board on Pinterest: Beautiful Habitats – Library & Workspace, or my Libraries Ideabook on Houzz.